Once upon a time, in a land far, far away . . . wait a minute, wrong draft but all things considered an appropriate way to introduce “The Wizard” . . . “TW” for short if Tiger Woods doesn’t object. My Dad became a broker when I was thirteen and the rest is history. Fifty years of commodity experience trading, back office management, open outcry pits, in-the-field research and more is priceless. 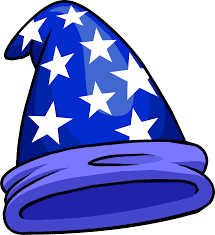 The “Wizard” moniker is more than thirty years old and like the Phoenix, comes back to life from time to time. It’s back. Look for interesting tidbits of general “commodity” trading knowledge, often incorporating AMS DeltaPrint tools into the discussion too, to start hitting these blogs. One blog will be called “Pointers” and the other “SnapShots”. In Pointers fifty years of experience will be imparted. Just how “The Wizard” goes about a “daily” routine has more value in it than any chart ever posted. It may be different than what you do and please let me know the difference. We all learn from each other. In SnapShots screen prints of different commodities, investigated and reviewed using AMS DeltaPrint (c) tools will be posted with commentary. AMS works differently for everyone but sharing what has worked, or in some cases what did not work is of benefit to all. Just remember, enjoy what you are doing and keep following us.